3D Printed Entomology: Imagining, Designing, and Printing Classroom Insects #STEM #science #education #3DThursday #3DPrinting #3DScanning « Adafruit Industries – Makers, hackers, artists, designers and engineers! When I first got the 3D printer my mind swam with different ideas of how to use it in my classroom. …As I spoke with other educators and started thinking about my curriculum, the little idea of looking at bugs quickly became the project I was most excited about. I realized that it fit with our 4th grade science and language arts standards, it made great use of other technology tools that we have, and it was full of room for creative students to work. …they were instructed to draw a picture and label the different parts of an insect. Students were pointed to entomology websites, and some brought in real insects to observe. This helped them to properly label their insects. Once their insect existed in their minds and in their journals, they started creating them on an iPad using an app called 123D Creature. While they were creating their insects they were also writing a description of the “Room 30” ecosystem in which the insects were discovered. 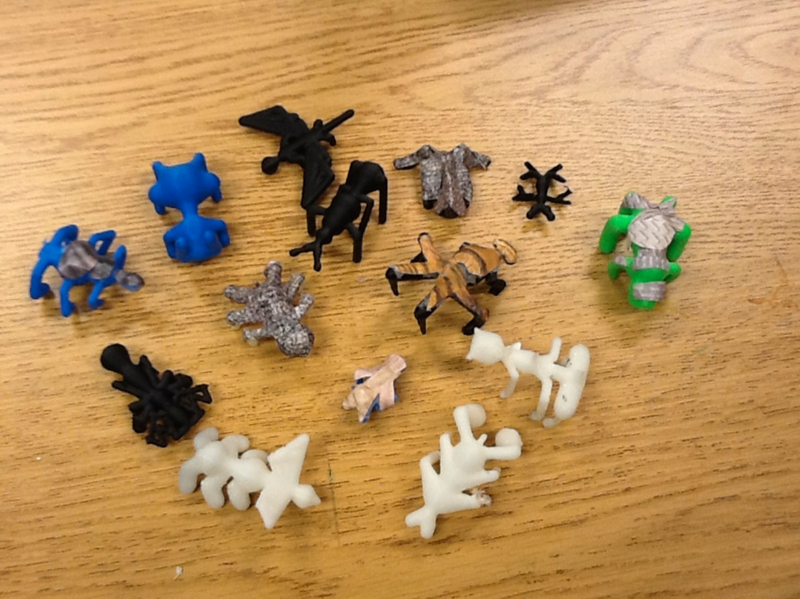 …As the students finished sculpting their insects they uploaded them to a shared account on Autodesk.com. Then we downloaded the insects to a computer connected to the 3D printer and started printing them. The first insect printed. 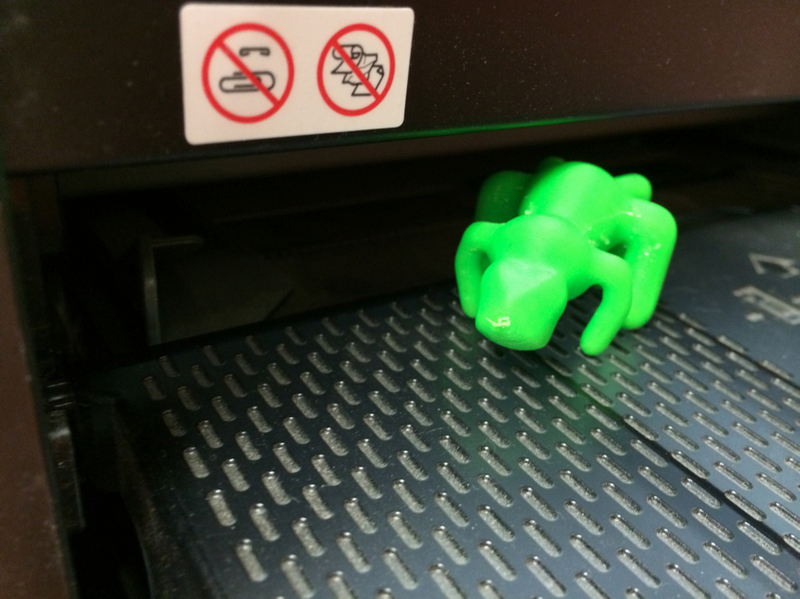 It’s natural habitat is inside the class printer [see below!]…. Read the full account, including writing prompts and other documentation here. Thanks for the shout out! I hope you enjoy the project as much as I did!